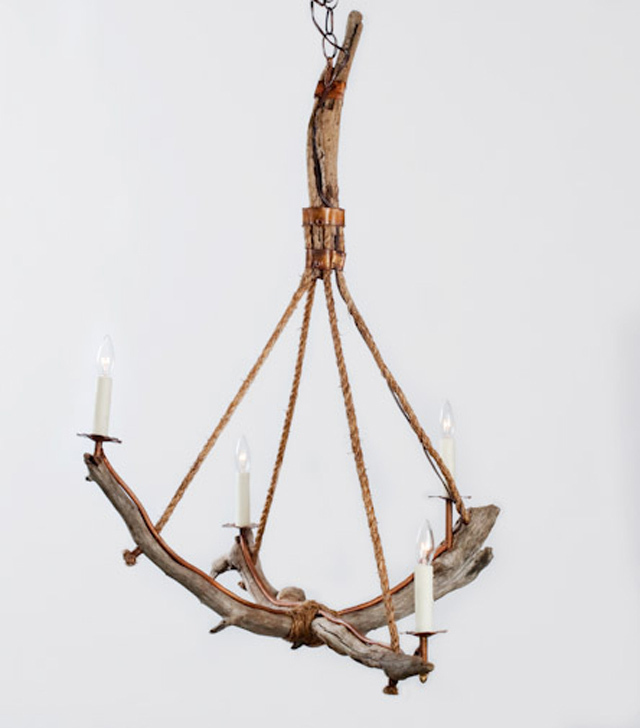 Loving the chandelier featured in Garden & Gun's Dec 10/Jan 11 issue... selected as their Made in the South Award Winner for Home -- Lowcountry Originals is designing light fixtures with native materials in mind. 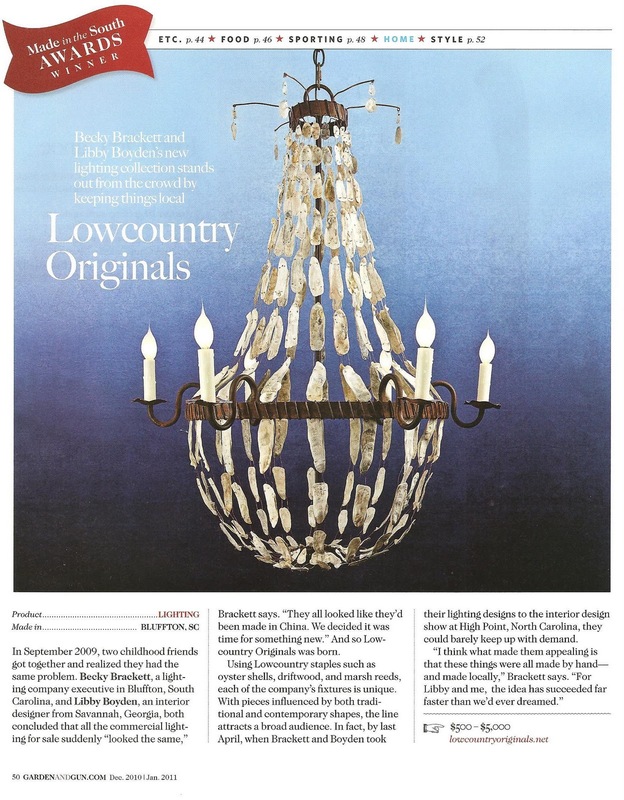 Creators of Lowcountry Originals and longtime friends Becky Brackett & Libby Boyden found themselves coming up empty in their search to find an interesting light fixture that didn't look too manufactured or that wasn't saturated in the design market. 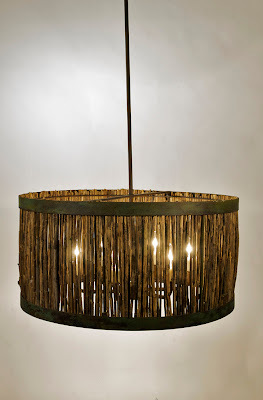 Taking inspiration from their Southern heritage, Becky & Libby turned to their natural surroundings, deciding to create light fixtures that incorporated unique elements & details, including oyster shells, driftwood, marsh reeds, rustic patina metal, and nubby burlap. 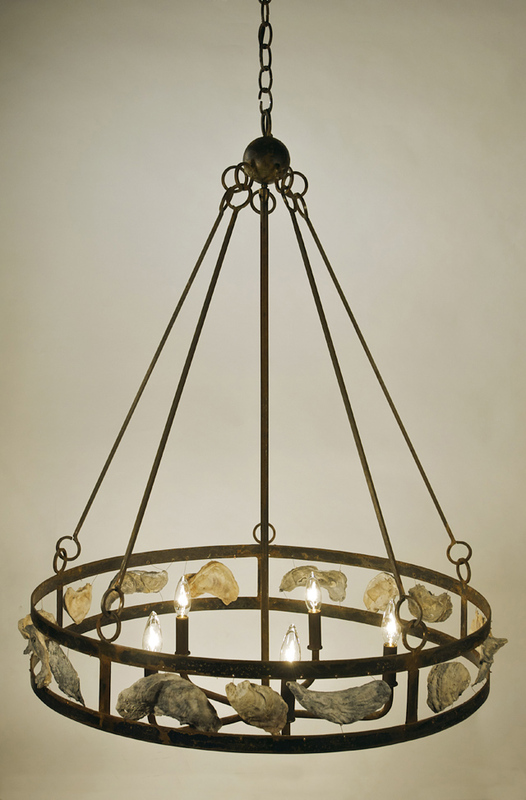 The overall result is truly wonderful -- earthy & organic, but with a classic design sensibility & structure. 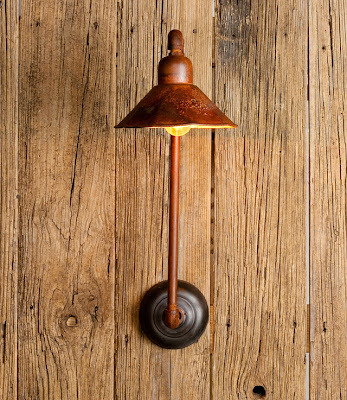 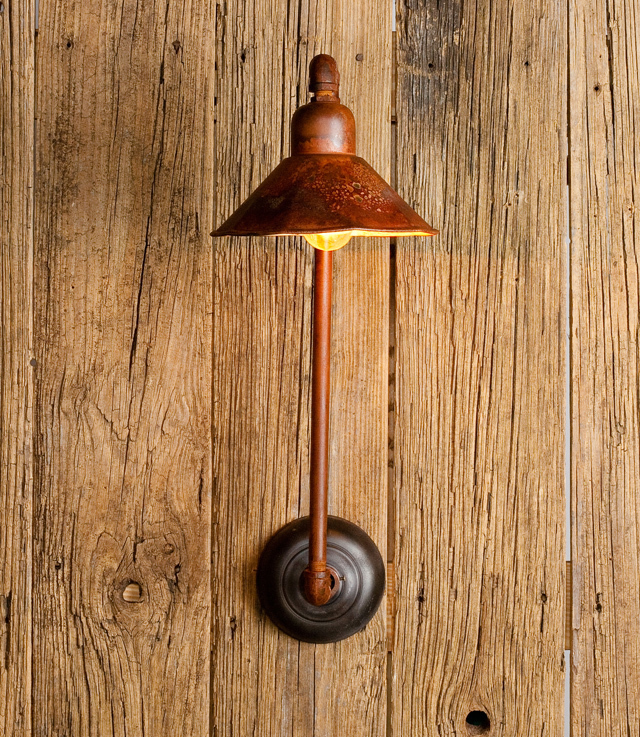 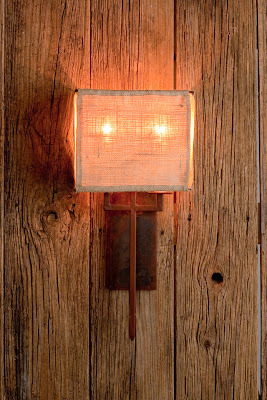 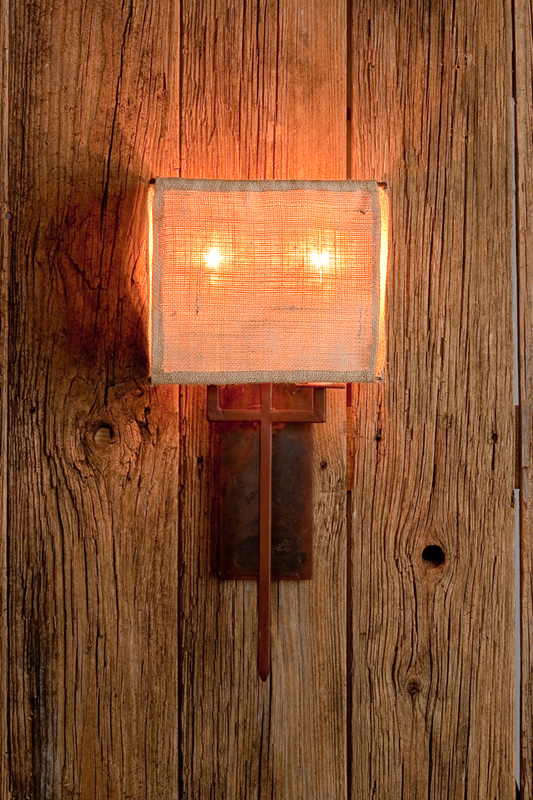 Click here for more info and check out a couple more Lowcountry Originals light fixtures that caught my eye.